A local environmental organisation in Dunedin, New Zealand, this week-end protested the arrival of a bulk vessel entering the port, loaded with phosphate rock from cocupied Western Sahara. In the background of the photos, one can spot the vessel 'Triton Valk', just having arrived the port. The importer of the cargo is the fertilizer company Ravensdown. “The occupation is pretty brutal” said Said Rose Murphy, spokesperson for Environmental Justice Ōtepoti, who were behind the protest , “I think the people of Dunedin would be horrified to know that a local business is funding such an injustice", she said. 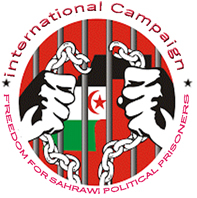 Ms. Murphy stated that their group supports the right to self determination of the Saharawi people. "Ravensdown and Ballance should stop dealing in Blood Phosphate until they get a referendum for their independence", she said. Last year a ship carrying phosphates destined for New Zealand was detained in South Africa as their courts ruled that the cargo was stolen from the people of Western Sahara. The people of Western Sahara are calling for Ravensdown LTD and Ballance agri-nutrients to “stop stealing their future”. The two New Zealand fertilizer cooperatives are the last two companies that still import from the occupied territory apart from one Indian company partially owned by the Moroccan royal family.